It's NOT just about Marijuana anymore! Today, the Senate named their representatives to the House/Senate conference committee for the 2018 Farm Bill. Here’s the full list of House and Senate conferees. In a rare move, Senate Majority Leader Mitch McConnell named himself to the conference committee – meaning he will be in the room when the permanent fate of hemp is decided. As a reminder, the Senate’s version of the Farm Bill contains the Hemp Farming Act, sponsored by Leader McConnell and co-sponsored by a bi-partisan coalition of more than two-dozen Senators, including Senate Minority Leader Chuck Schumer. The House version is silent on hemp. The House/Senate conference committee will resolve the differences between the two bills – and McConnell will be twisting arms to ensure the Senate hemp language prevails. You can help ensure hemp is permanently legalized. We’ve re-formatted our online portal to empower you to help get hemp across the finish line. Input your zip code, and our portal will determine whether your Congressman and/or Senators serve on the conference committee. If so, with a few keystrokes, you can send them a personalized email urging them to support the Hemp Farming Act language. The portal will also enable you to send a message to your Members of Congress who don’t serve on the conference committee to urge them to reach out to their colleagues that do. In just a few minutes, you can make a real difference. Please link to our portal below and have your say NOW. And please share this message and this call to action with your friends, colleagues, customers, and social media contacts today. Our grassroots army helped kill the misguided Grassley Amendment a few weeks ago. Now, together, we can extinguish Hemp Prohibition. Forever. The U.S. 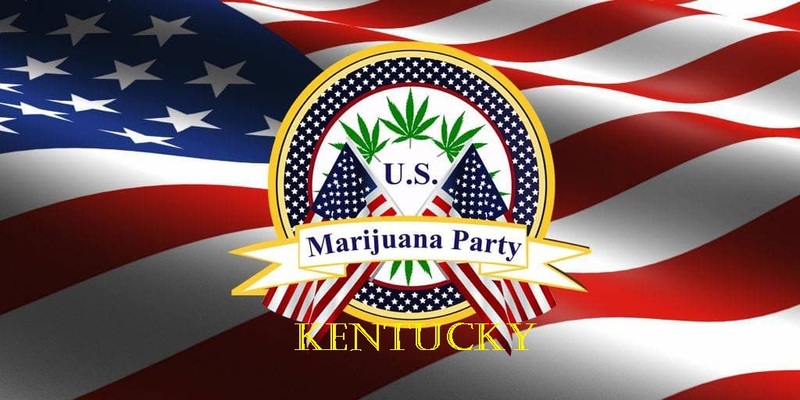 Marijuana Party of Kentucky is a news, information and opinion sharing website which focuses on the repeal of prohibition, particularly Cannabis, but other natural growing plants as well. We believe that we inherit unalienable rights with birth upon this planet which include the right to the growing and use of plants without repercussion from any authority. A plant grown in/on our own property that is processed in any way for personal use and NOT to be sold to another has no reason to be regulated. The Government has authority over commerce. Regulation and taxation is allowed in the open market – which is where Cannabis should be, for marketing purposes. Those products made from Cannabis which are medications and are sold by pharmaceutical companies and promoted by Physicians should be regulated accordingly. Medications are manufactured by pharmaceutical companies and as such should be regulated to ensure they’re safe for consumption. Make our gardens LAWFUL and REPEAL PROHIBITION now! We have the right to grow nature in our homes and gardens! The ultimate goal MUST remain REPEAL and Nullify Cannabis Prohibition thru the United Nations and our U.S. Federal Government. The legalization statutes which have been passed to date, particularly recreational use are a legal way within a State to have commerce with an unlawful controlled substance, according to the U.N. Treaties. Bearing this in mind, the ONLY way to truly break free from the Drug War is REPEAL that which was put in place to benefit the NWO. Until we accomplish this, we will never be free from prosecution for using the Cannabis plant and potentially many others. The Legalization rush is on. And just as the Cannabis Businesses are pushing forward, so will the policing of the businesses. They will continue to fill our jails and prisons with laws written just for Cannabis user’s whether they be legal or not. In the meantime, while we fight for the freedom of Cannabis user’s let God keep our Patient’s safe from undue harm by the corruption of our own Government and it’s war upon God’s plant. Legal History of Cannabis in the U.S.
Activate your free Supreme Court course now! TEST DRIVE COLLEGE ONLINE FOR FREE ! How do I get a License/Permit to grow hemp? Journal of the International Hemp Assoc. KENTUCKY HEMP GROWERS COOPERATIVE MUSEUM & LIBRARY, INC.
Kentucky Hemp Museum Information from Int'l HEMP Assoc. Feds Won’t Let You Grow Hemp? Try Flax. Quality Corrections at a Lower Cost? Recently in Corrections Category Op-Ed: Can Privatization Kill? Was Pearl Harbor a carefully orchestrated plot adopted by US President Franklin Roosevelt to lure Japan into attacking and starting a war with the US? John Trudell , I'm crazy ? 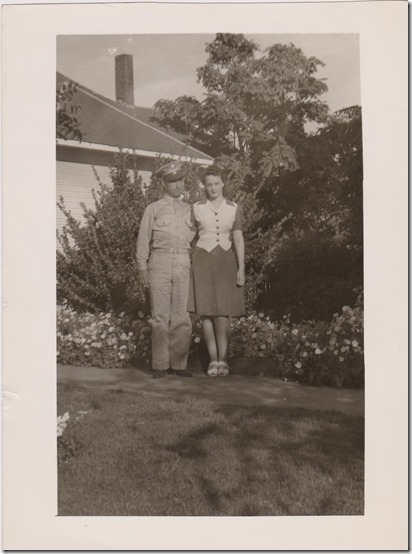 Learn about Richard Wershe, Jr. Please leave message for a return call. PLEASE DO NOT USE SO CALLED "SYNTHETIC MARIJUANA" OR "SPICE" SOLD UNDER AN EVER INCREASING VARIETY OF NAMES! IT IS NOT MARIJUANA AT ALL AND I AM INSULTED THAT THE WORDS SYNTHETIC MARIJUANA ARE USED TO DESCRIBE THESE SUBSTANCES! "FAKE DRUGS" WOULD SUFFICE! THEY KILL! PLEASE COPY AND OPEN THE LINK BELOW TO READ ONE STORY ABOUT THESE "FAKE DRUGS"! http://www.therepublic.com/view/story/60e0b41dcfeb4c8896f89c4a7409dc99/KY--Synthetic-Drugs/ PARENTS, WATCH YOUR CHILDREN! "...Officials said the powdery substance sold as bath salts mimic the effects of cocaine, ecstasy and LSD. It can be snorted, injected or mixed with drinks for food. 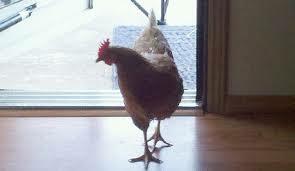 The chemicals can cause hallucinations, paranoia, rapid heart rates, violent behavior and suicidal thoughts. Synthetic marijuana contains organic leaves coated with chemicals that provide a marijuana-like high when smoked. The product is marketed under various brands include Spice and K2. The synthetic drugs can be purchased on the Internet and in some tobacco and smoke shops, drug paraphernalia shops, gas stations and convenience stores..." OF NOTE: THESE PRODUCTS ARE MOST OFTEN USED BY THOSE WHO ARE FORCED TO SUBMIT TO "DRUG TESTING".... THAT IS WHY THAT THEY HAVE BECOME SO POPULAR ALONG WITH THE FACT THAT THEY ARE READILY AVAILABLE FOR SALE TO MINORS - OR SOMEONE WHO WOULD PURCHASE FOR A MINOR. THIS HAS TO STOP! The Legend of Johnny Boone from Keith Greenberg on Vimeo. PLEASE BE ADVISED: OPINIONS PRESENTED ON U.S. 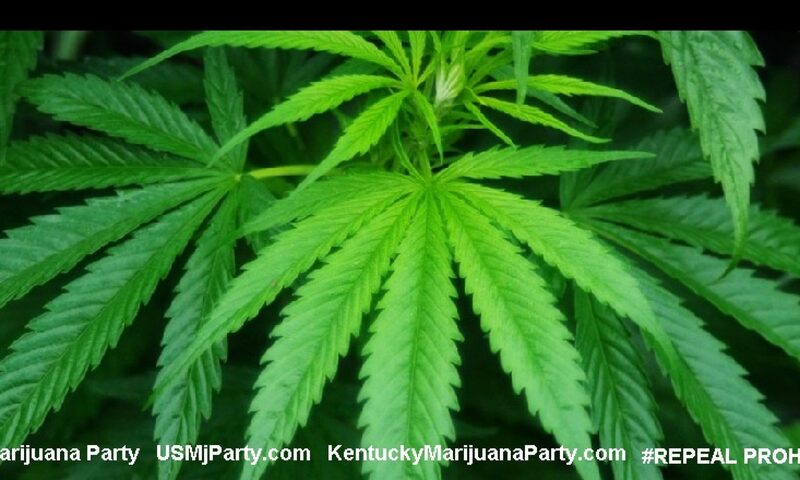 MARIJUANA PARTY WEBSITES ARE THOSE OF THE ORIGINAL WRITER AND NOT NECESSARILY THE OPINION OF THE WEBSITE(S) OWNER(S). 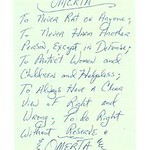 THEY HAVE BEEN PRESENTED IN ORDER TO ALLOW ALL OPINIONS TO BE EXPRESSED FAIRLY. The popular belief that the name Kentucky means "Dark and Bloody Ground" is apparently without foundation. Yet through the years, the image has persisted in literary and oral tradition as a description of the Kentucky country. One traditional explanation sites Delaware legend in which the ancient tribe of the Lenni-Lanape allied with the Iroquois to fight the Allegewi, the original inhabitants of Kentucky. In a single bloody battle the Allegewi were virtually exterminated. The land where an entire nation had been eradicated became known as the "dark and bloody ground". The violent clashes between the Iroquois and the southern Indians only helped reinforce the image. In his book, "Historical Sketches of Kentucky" (1874), Richard H. Collins says that a northern Indian once asked Indian fighter Joseph H. Daveiss how white men could live in land that had seen so much bloodshed. The Indian said that the ghosts of those killed in the Indian wars haunted the land making it dangerous. At the execution of the Treaty of Sycamore Shoals the Cherokee Cheif Dragging Canoe is said to have told Col. Richard Henderson that the lands south of the Kentucky river were "bloody ground"and would be "dark and difficult to settle". 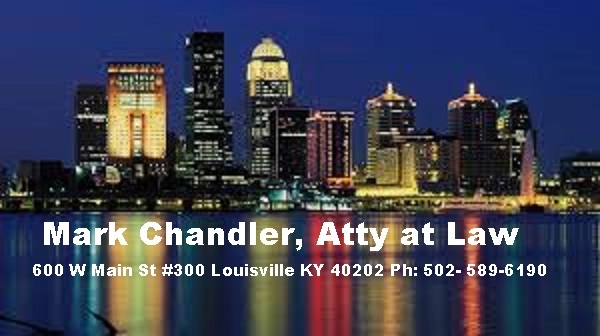 However Ruben T. Durrett said in his book, "The Centenary of Kentucky"(1892) that the phrase was used to discourage Henderson from purchasing the land. If a law is unjust, a man is not only right to disobey it, he is obligated to do so. "Among the natural rights of the Colonists are these: First, a right to life; Secondly, to liberty; Thirdly, to property; together with the right to support and defend them in the best manner they can. These are evident branches of, rather than deductions from, the duty of self-preservation, commonly called the first law of nature." The only purpose for which power can be rightfully exercised over any member of a civilized community, against his will, is to prevent harm to others. His own good, either physical or moral, is not a sufficient warrant…over himself, over his own body and mind, the individual is sovereign. The only purpose for which power can be rightfully exercised over any member of a civilized community, against his will, is to prevent harm to others. His own good, either physical or moral, is not a sufficient warrant….Over himself, over his own body and mind, the individual is sovereign.
" Quotes from Gatewood "For all you Petrochemical-Pharmaceutical-Military-Industrial-Transnational-Corporate-Fascist-Elite-Bastards, I've got your karma right here. "If I was going to lie to you, I'd already be elected. "Ronald Reagan and George Bush aren't conservatives. They are aliens." Marijuana, in its natural form, is one of the safest therapeutically active substances known to man. ...The judge recommends that the Administrator transfer marijuana from Schedule I to Schedule II. "Penalties against drug use should not be more damaging to an individual than the use of the drug itself. Nowhere is this more clear than in the laws against the possession of marijuana in private for personal use." Kentucky Coalition to Abolish the Death Penalty Why abolish the death penalty in Kentucky? It's out of step with modern thinking. It's unfair, broken, and arbitrary. Toxic chemicals in our environment, such as mercury, lead, and certain manmade chemicals, have been linked to cancer, birth defects and brain impairments. Reducing or eliminating the load of these dangerous chemicals in the products we buy, the air we breathe, the food we eat and the water we drink can help reduce the toll of human disease and suffering. New York, April 18, 2019 -- Romanian authorities should conduct a swift investigation into the death threats levied against investigative journalist Emilia Șercan and ensure her safety, the Committee to Protect Journalists said today. New York, April 18, 2019 -- Saudi authorities must immediately stop persecuting journalists and release those swept up in their recent detention campaign, the Committee to Protect Journalists said today. New York, April 17, 2019 -- The Committee to Protect Journalists today called on the Afghan government to deliver justice through a fair and transparent process after two suspects were sentenced to death for the killing of Kabul News journalist Abdul Manan Arghand.